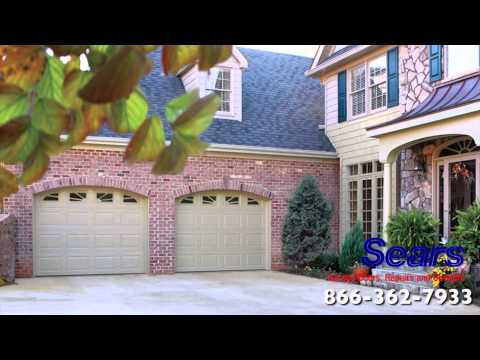 If you need to have your garage door repaired or replaced, Sears Garage can take care of any installation or servicing you need. Sears technicians are experts in all areas of garage maintenance including replacing of parts such as springs, cables, hinges and sensors. We have some of the best warranties and financing around, don't forget to ask us about them. Give us a call at (509) 926-4080. A Sears technician can diagnose the specifications of your garage and offer a range of options for a new garage door installation. Sears has a variety of door styles, giving you a good selection to choose from. If your garage door is worn down and needs replaced, Sears professionals have the expertise needed and several styles with 100's of options to choose from to replace your existing door with a new one. Repairs are another service offered by Sears. Our technicians can fix broken springs, doors off of their track, and other broken or malfunctioning parts. 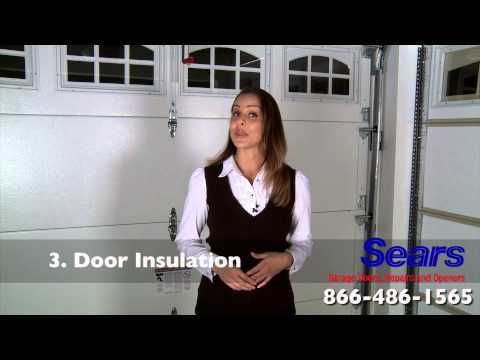 Trust Sears to solve your garage door problems, your satisfaction is guaranteed. If the garage door opener is the problem, then Sears professionals can either fix it or install a replacement. The newer openers have features available such as belt-operated mechanisms for quiet movement, smartphone apps to control the operation, and high-quality motors for improved speed. Your satisfaction is guaranteed with Sears, a trusted name. Check out Sears Spokane Garage Doors on Yelp! Great things to do can be found on this Visit Spokane Events calendar. The Spokane Sears Garage Door team may see you at one of these events! Looking for a chance to get out with friends and family to enjoy the Spokane area? Check out this community events calendar from Spokane7. You may see one of our Spokane Sears Garage door team members enjoying the area too! Everyone loves the library! Find an event at the Spokane Public Library your family will enjoy, and grab a good book while you are there. Find a great cultural or community event on the SPR website. Be an informed and engaged citizen! You may see one of our Spokane Sears Garage Door team members becoming more cultured too. If you are interested in local sports, a concert, or a major branded event (think Disney or Marvel Super Heroes), look no further than the Spokane Arena website. I really appreciated his explaining what he was doing and why parts on the door needed repair. Very pleased with the service! Great job and extremely professional! Your call center rep, who handled my initial call seemed to not like her job. She was not clear, became a bit argumentative when I ask for clarity (she mumbled and talked fast). She told me I'd receive a call a day before the service visit and an e-mail to confirm my appointment: I received neither. I was pleased with my service. However I was told my tech would be at my house between 9-12. I called at 1:30 to see what was going on. The representative told me she would have the tech call. He told me they booked all his appointments for AM. We just all need to get on the same page. I waited all morning then had to call. This shouldn’t happen. I just wish there was an easier way to contact him. The email address on the card that he gave me was not valid. Arrived 2 hrs early but otherwise all good. Looked professional and very kind and friendly. Also would like to mention always had a smile on the face. Thank you Sears and the staff. Terrific work, service and product. I will turn to Sears in the future for other work. Very happy with the experience. Tech was intuitive and thorough. He was kind, explained everything well, and ethical. Service tec was very good about explaining what had to be done.. The technician was very professional, extremely knowledgeable, helpful, and all around a pleasant person to work with. We were very happy with the job he did. We were very pleased with the efficient, professional service provided to us. Our technician was awesome. The scheduler was also very nice and helpful. Praise to both of them. They represent Sears well. Very professional and helpful. Great customer service. The door looks great. There was a miscommunication of the arrival time. They were mistaken 1 hour before the appointment time. I had to make adjustments to have someone home to let them in. I was a little surprised when the technician called from my house when I did not receive a call to set up my appointment. Fortunately, we worked it out and I should be hearing back from someone this week on my custom sized garage door & opener. Everything met my expectations: scheduling, costs, and quality of work. The garage door seemed to work better after he worked on it, but now it's sticking again and not opening all the way. I'm wondering if another adjustment needs to be made? our serviceman was so nice and helpful. Thanks!